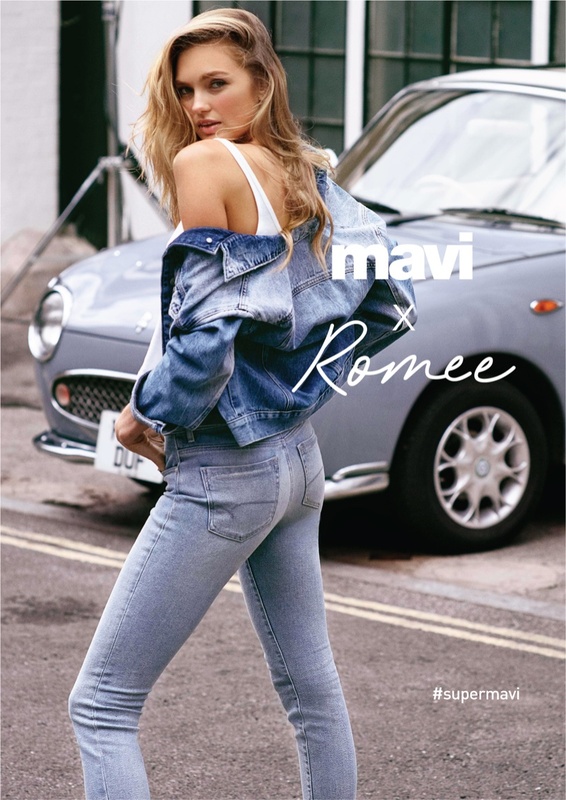 Top model Romee Strijd is enlisted by Turkish denim label Mavi Jeans, and stars in the label's Spring/Summer 2018 Campaign. Taking over from Megan Williams, who starred in the Mavi Jeans F/W 2017 Campaign, the Victoria's Secret Angel heads to London with the label for the campaign. Posing alongside male model Jordan Barrett, the blonde model is lensed by photographer Mariano Vivanco, and shows off Mavi Jeans' trendy new styles. The campaign is titled 'Supermavi', and has Romee and Jordan baring their gym-toned physiques in skinny jeans, cropped tops and distressed denim designs. The Spring/Summer 2018 collection also introduces the Super Move, Super Soft and Super Blue styles, and Romee and Jordan serve as the perfect stars to model the collection.